Facebook and Twitter will send representatives to testify at a Senate hearing next month on Russian interference in the US presidential election, sources at the companies told Gizmodo. Facebook turned over 3,000 ads linked to a Kremlin troll farm to Senate staff earlier this week and has briefed staffers on the Russian ad campaigns that ran on the social media network leading up to the 2016 election. The ads were seen by as many as 10 million Americans, Facebook said. But the company had kept quiet about whether or not its executives would accept an invitation to testify during an open hearing on November 1. Twitter identified around 200 accounts related to Russian propaganda efforts and suspended them, the company said. “Twitter deeply respects the integrity of the election process, and will continue to both work with the investigations and to share details of our findings with the public as we are able,” a spokesperson said. The Senate Intelligence Committee also invited representatives from Google to testify, but Google has not yet confirmed to Gizmodo whether or not it will send representatives to the hearing. At a press conference this morning, Senators Mark Warner and and Richard Burr said that they believed the companies would attend but had not received confirmation from them. 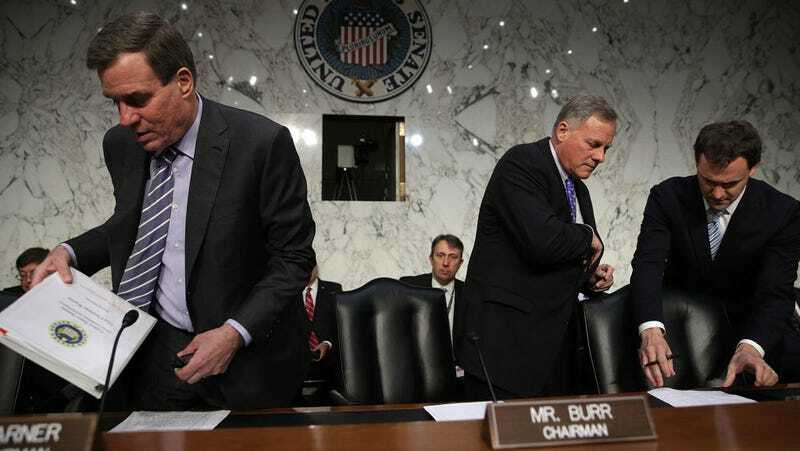 Don’t expect to see Mark Zuckerberg sitting in the hot seat, though—Burr said last month that he didn’t expect Zuckerberg or other top executives to attend and preferred to hear from employees with more expertise in the matter. “I think it’s more important that we get the person who’s most capable of talking about the technical aspects of what they need to do to identify foreign money that may come in and what procedures, if any, need to be put in law that make sure elections are not intruded by foreign entities,” Burr explained. Although a Facebook representative will testify publicly, the ads themselves are likely to remain secret—the company has argued that releasing them publicly would be a privacy violation. Updated at 2:15 p.m. with confirmation of Twitter’s attendance.